You’d think because I have a craft room crammed packed of craft supplies I’d make the best use of them… well, here is a shocker–> time interferes with my fun (I’m sure you know that story all too well) so it seems every time I go to an event I’m scurrying to find the perfect greeting card, or throw one together. I wanted an easy go-to solution that still had the handmade touch, but not too fussy. Plus I also needed an envelope solution because I can never find one of those either (some might call me unorganized in the craft room department). The concept for these greeting cards is quite basic, but it sums up all my needs in one little pocket! Im including the Silhouette cut file I created. Just right click to save the image and drag it into Silhouette studio to trace. Or you can just print and use the template if you don’t have a electronic cutter. The dotted lines will be scored to fold. Lucky for me I had the chance to play with some Avery Elle stamps, chipboard from UmWow Studios, and May Arts Ribbon to help me bring my unique greeting cards to life! Cut the template out using your silhouette or just plain ol’ scissors. Insert brads into the paper rings. Place one in the body of the envelope and open the wings. On the other tie a piece of May Arts Ribbon twine onto the wings, insert it into the flap hole and open the wings. Fold or score all the perforated lines. Apply a strip of Xyron 1/4″ double sided high tack tape onto the back side of the two wings. 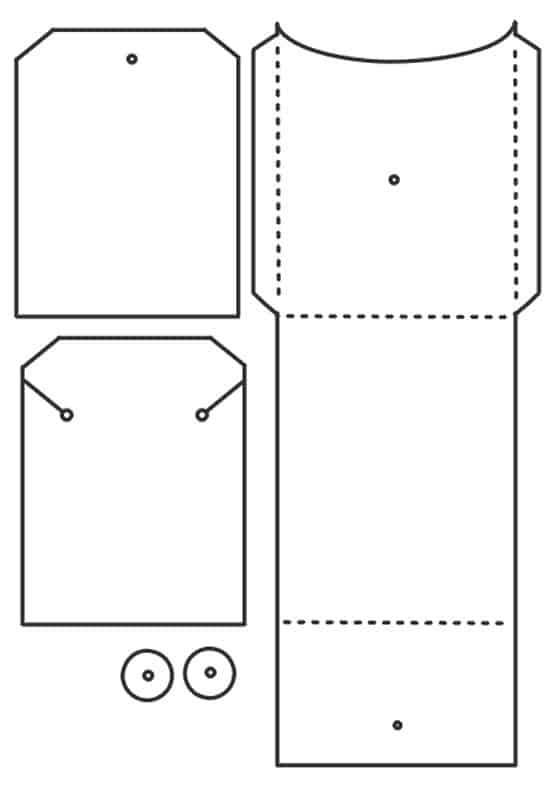 Fold the bottom upward and adhere the wings to the back side of the card. Embellish as you wish. 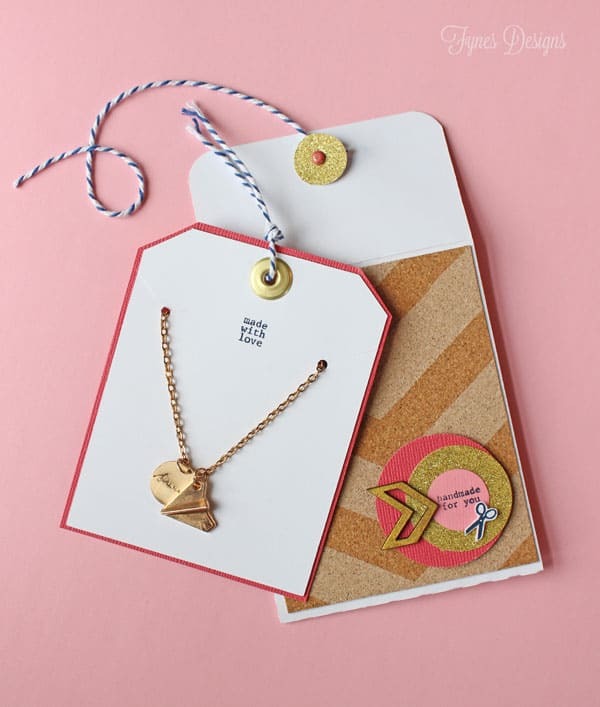 I used Avery Elle “Air Mail” stamp set, “Arrow Title Mash” from UmWow Studios, and papers from DCWV (Gilded stack, Glitter stack and Pastel Cork Stack). I don’t want to toot my own horn, but I’m think these unique greeting cards are a great idea “toot-toot”. They can very easily be customized to suit any occasion! Add a gift card, a pair of earrings, a necklace, or just a sweet sentiment! I can’t take the credit for making this sweet necklace, all the ladies at SNAP went home with one from Charmed Collections. Can you believe those arrows are chipboard? I just inked them with a Delicata Golden Glitz inkpad. I hope you enjoy these greeting cards as much as I do, please make use of the free template, your recipient will love it too! Want a chance to win some of the awesome supplies I used on this project? Leave a comment below, and on the May Arts Ribbon Blog for a chance to win one of three prize packs. WOW – your note cards & envelopes are so pretty, inside & out and such a great idea Virginia!!! 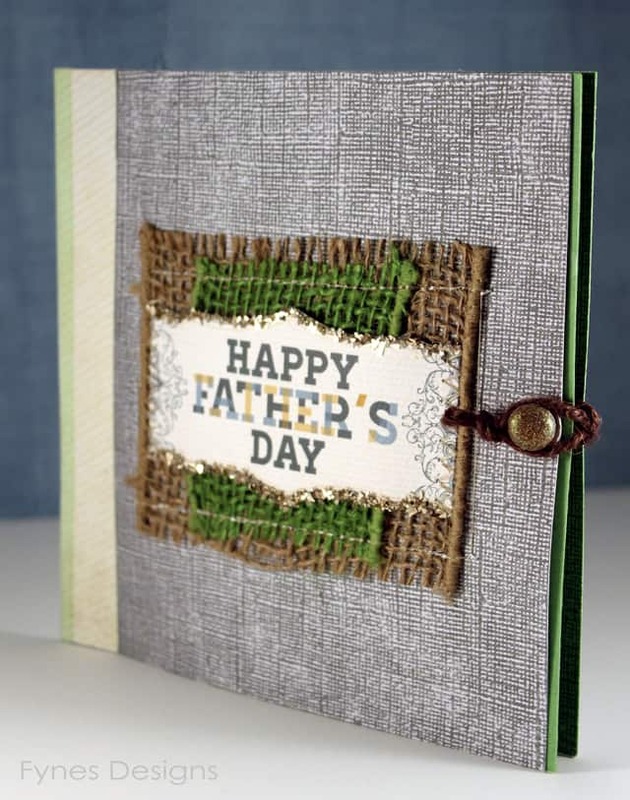 LOVE your Father’s Day card too … the layered burlap is fabulous!!! All I can ever say is: I Love them, it, that whatever it is. Because I do, love them…love them. Absolutely love your Father’s Day card and thank you for the cut files!! They will really come in handy!! I love your style! These cards are so fun and the gift card tags are so neat! Very neat idea for gifts. Thank you for sharing. Thanks for your great ideas. I made your multi- gift card holder for a co-worker and it was perfect. Thanks for the giveaway. Go right ahead and toot your horn!! 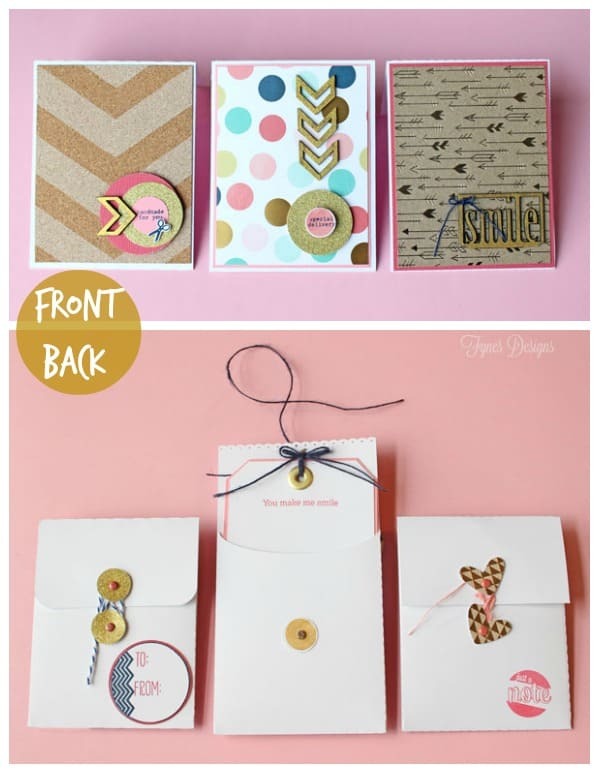 I love these simple to make yet awesome cards!!! Such a great idea and I am going to have to craft steal it!! Thanks for the template/cut file! I will put it to good use! TFS! Fantastic, as always. 🙂 I think even I could make them! Your little note cards are super cool, I even think I could do it. lol Thanks for the template and the great ideas for making these. Wow, Virginia. These are absolutely stunning. And as someone who is somewhat new to card-making, I appreciate your photos and tips. Definitely pinning for future reference! Your cards are so beautiful, thank you for the inspiration! 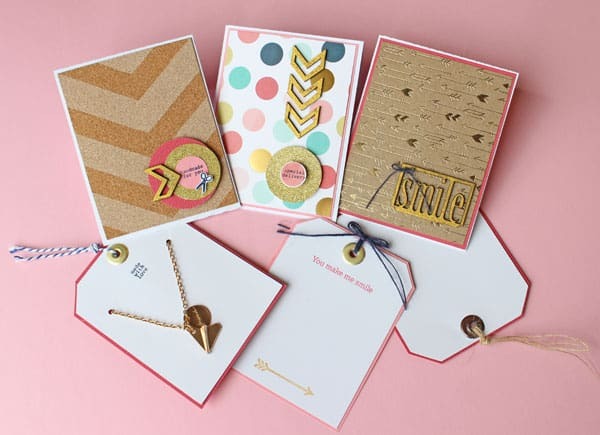 Wow, totally fabulous cards and great ideas for gift giving. Great inspiration!! Thanks for the tutorial. Will have to come back to this when I have time to try it. These are beautiful! The details are perfect! Such a clever idea! 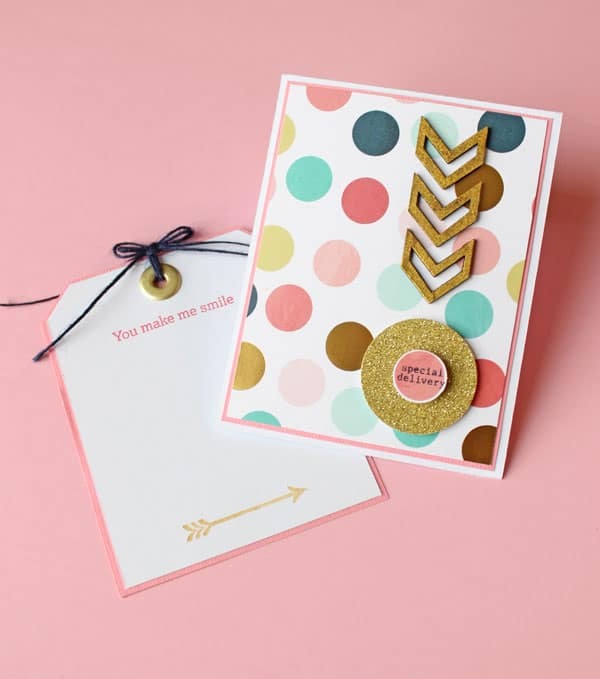 I love these dainty little cards and they’re just perfect for sending to my girls in their gift packs while they’re away at school! I always try to make them a little something in the way of a greeting card to enclose in the care pack, but run out of ideas. That’s so sweet Stacey, I’m glad you liked the,, I hope your girls do too! 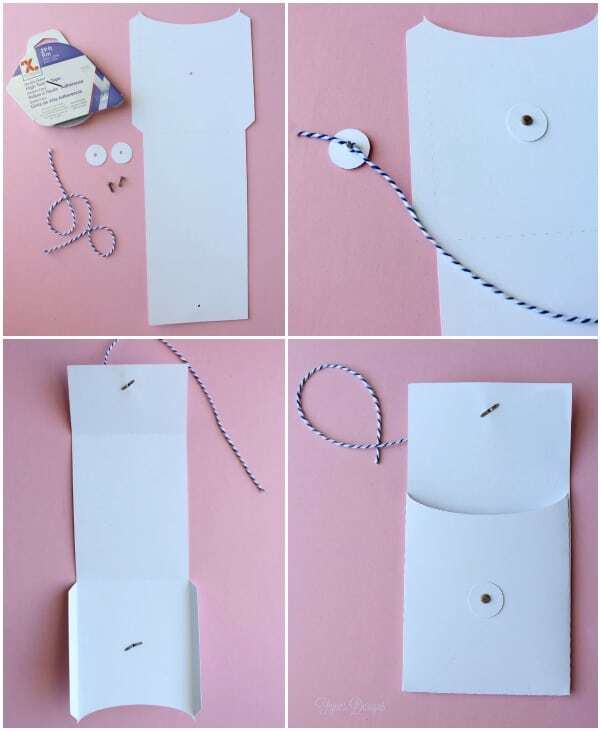 I love very much your little cards, always trying to find something like this (small) thank you for the instructions and the pictures. Love them. I love the simplicity of these cards, yet they are special and cute. I don’t like a cluttered card that won’t fit in an envelope. I like anything in miniature so this is right up my alley! LOVE, LOVE, LOVE THIS WESITE AND ALL I HAVE SEEN ON IT SO FAR. These little cutie pies are so stinking cute ! Thank you so very much for sharing and posting. Quick question. What is the size of the cards..??? Again Thank you for sharing ! I absolutely love these little cards. I do not have a siIhouette so thanks for the pattern. I love the simplicity of them and they would great to send for so many occasions. Thanks for sharing. You say the cards are 1/2 of an 8 1/2 X 11 sheet of cardstock. The envelope patterns looks smaller than that, so do we have to enlarge it somehow. Thanks. I am going to try one of them now. These can be used on the job to return customers damage deposit funds especially after weddings. I love it because its so personalised. refreshing ideas, I like all I see. I will surely make one of each in my future lessons. 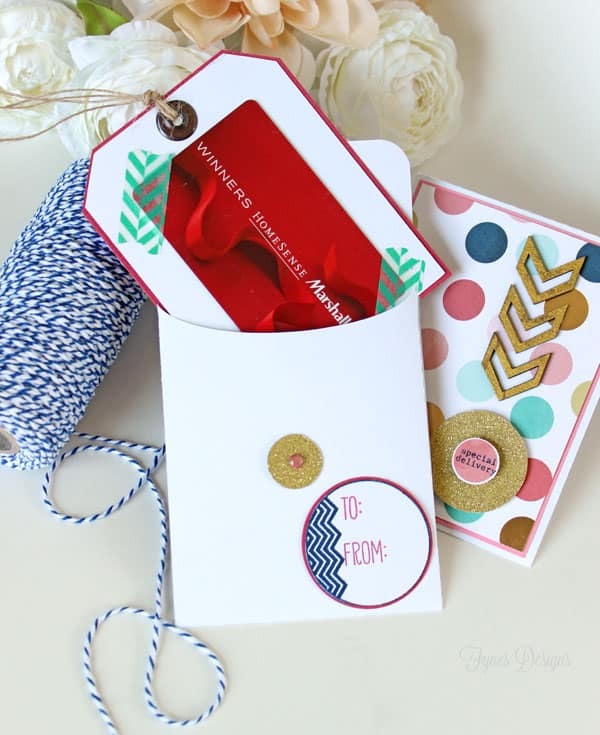 Thanks for the template…always looking for cute ways to give gift cards and these are adorable!